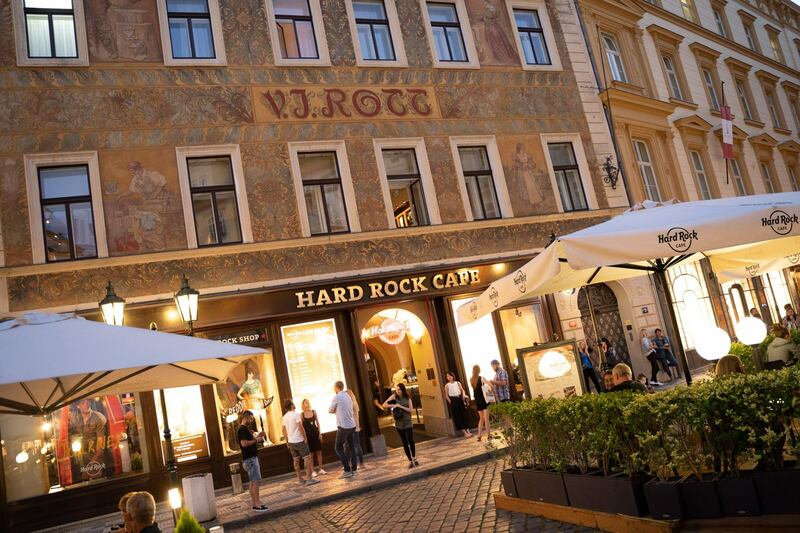 Hard Rock Cafe Prague, one of Europe's largest Hard Rock Cafe. Club is situated in the four-story, V.J.Rott building with a beautifully decorated neo-Renaissance façade and frescos. The cafe is located in the heart of old Prague less than 50 meters from the famous Old Town Square. 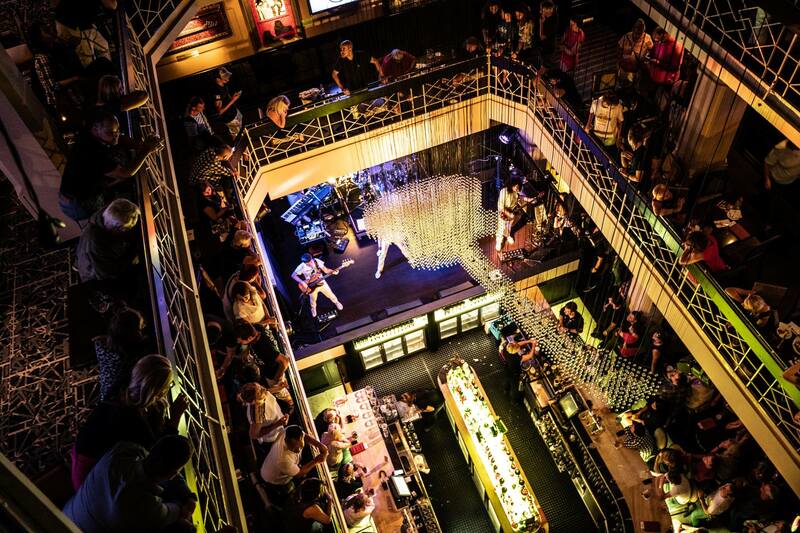 The three-level, 1900-square-meter cafe includes two vibrant bars and features a unique compilation of memorabilia from Hard Rock’s world-famous collection completed by a 5-meter custom-made chandelier in the shape of a guitar.